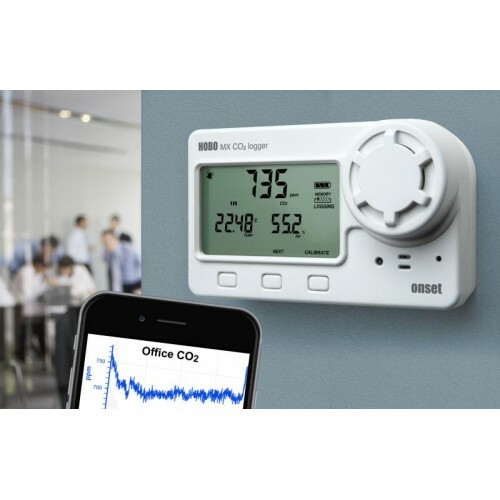 The HOBO MX1102 CO2 data logger makes it even easier to measure and record CO2 in buildings and other non-condensing environments. Meausuring CO2 from 0 – 5,000 parts per million (ppm) – and using the free HOBOmobile app* allows you to access data right from your mobile phone or tablet within a 100-foot range. In addition to Bluetooth Smart. The MX1102 also features a USB port so it can be used with a computer running HOBOware graphing and analysis software. 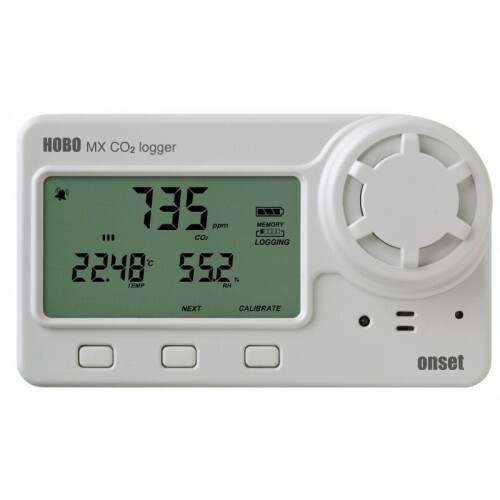 The HOBO MX CO2 data logger records and transmits carbon dioxide, temperature, and relative humidity (RH) data in indoor environments using non-dispersive infrared (NDIR) self-calibrating CO2 sensor technology and integrated temperature and RH sensors. 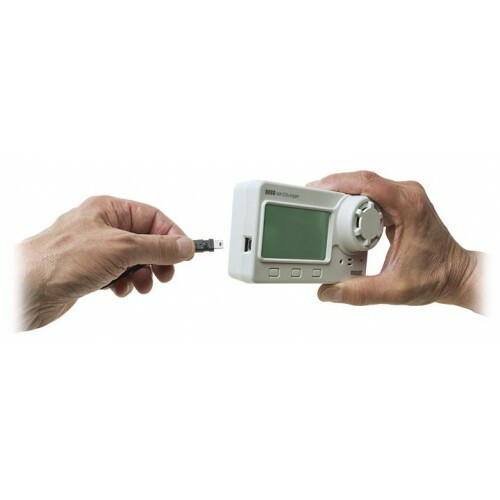 Designed for easy deployment, the HOBO MX1102 features an easy-to-read LCD that displays current readings and logger status, and can run for six (6) months on four (4) user-replaceable AA batteries.